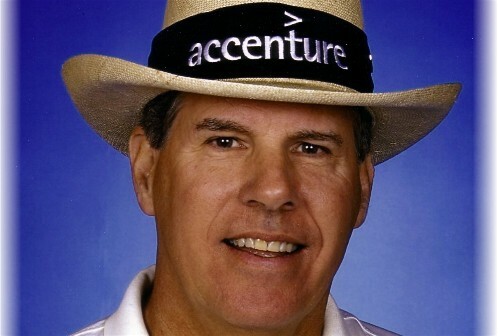 I’m a little embarrassed that it took a column by Jim Nugent at GlobalGolfPost to make me sit up and say, "Good point: Why isn’t Jay Sigel in the World Golf Hall of Fame? What makes it even more embarrassing is that I vote every year on who gets picked for the Hall. Until Nugent pointed it out, however, I hadn’t given much thought to the fact in my time as a voter, no amateur’s name has ever made it onto the ballot. That is determined by strictly pro credentials: At least 10 years on the PGA Tour, two major titles or 10 PGA Tour wins. Of course, in this day and age, who remains an amateur long enough to deserve consideration for the Hall? With so much money to be made on the PGA Tour, any amateur with a fighting chance turns pro and chases the pot of gold at the end of the golfing rainbow. Come to think of it, the last truly good amateur I can recall not making the leap to the pros was Texan Trip Kuehne, who lost to Tiger Woods in the finals of the U.S. Amateur in 1994. Kuehne thought he had a better chance of making it as a investment banker, and he has. Although he is still active and competitive, Kuehne’s amateur career pales in comparison to Jay’s. Kuehne and Jay were the last of a dying breed: career amateurs. As we all know, by the time Jay turned pro at 50, he had fashioned an amateur record that ranks him alongside Bobby Jones and Tiger Woods. Only after his amateur legacy was firmly in place did Jay decide to measure his game against the pros on the Champions Tour. Eight wins and $8.6 million later, it’s starting to look like a good idea. But make no mistake, it’s Jay’s career as an amateur for which he will be remembered and for which he belongs in the World Golf Hall of Fame. For a couple of days there, I was following the latest chapter of Steve Williams Is A Dumbass, shaking my head over how golf had managed to embarrass itself once again. Or how he had managed to embarrass golf. 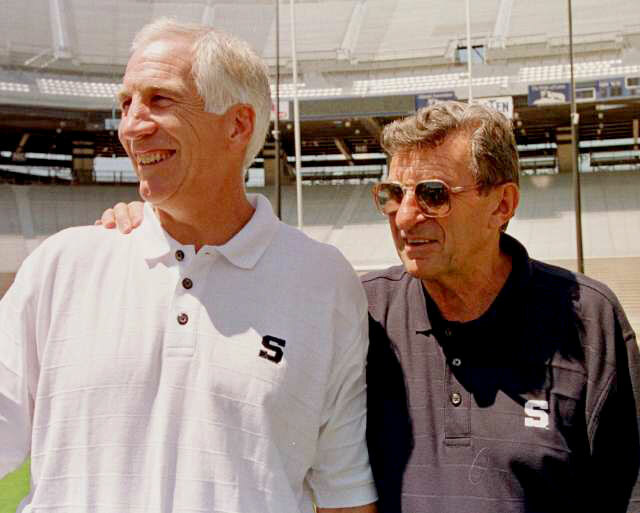 Then, suddenly, out of nowhere, the Penn State Scandal erupted. It makes you realize just how tame golf’s blunders are by comparison. And thankfully so. At a time when hardly a week passes that we don’t hear rumors about buzzards circling overhead of some club or course in the area, Trump National – Philadelphia must be doing something right. 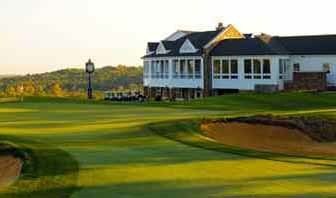 Since high-flying tycoon Donald Trump took over the erstwhile Pine Hill GC on Christmas Eve 2009, Trump National – Philadelphia has added 200 members, for a total of 360 full golf members. The goal is 380 members . To hear GM Eric Quinn tell it, business is so good, they’re planning to add a giant pool that overlooks the Philadelphia skyline in the distance. They also planning to bump the non-refundable initiation fee from $15,000 to $25,000. In the current economic climate, that’s bold. "The key is the Trump brand," GM Quinn told me Tuesday, after a round to show off some of the changes to the course and the clubhouse. "That and the fact that Mr. Trump has sunk millions into the club since he took over." Most of the changes to the course didn’t affect me, because they are new back tees on a half dozen holes that stretch the course by 500 yards, to 7,409 yards. Back tees are in my rearview mirror. (Naturally, the back tees are now called the "Trump" tees?) The one change to the course that did affect me and all golfers is at the par 3 5th, where a large tee-to-green waste bunker has been replaced by a lake. Inside the 43,000-square-foot clubhouse, Trump has taken the interior from a dark, almost casual Adirondack style to a more formal, white-linen look that Quinn describes as "a statement of elegance." The locker rooms have also been renovated. Here is a background story on the sale of the club. Given the dreadful state of the economy in general and golf in particular, the real story here is how Trump National – Philadelphia seems to be thriving while most other private clubs and daily fee courses are happy to be treading water. Quinn attributes Trump National – Philadelphia’s newfound success to a couple of things. First, he says there is no mistaking that the Trump name is a major drawing card. Potential members like the swashbuckling upscale style the they believe the Trump name connotes. Quinn hears it from members they are luring from other clubs around South Jersey; he also hears it from business executives who move to the area and begin searching for a club to join. Quinn also points to Trump’s ability to pour millions into improving the club while so many other clubs are dealing with defections and member revolts over costs. Finally, Quinn believes more and more people favor the concept of the non-equity club, where members aren’t constantly worried about being hit with assessments for course improvements, clubhouse improvements or various shortfalls. "In our industry, people are saying, ÔI want to go some place that is going to be first class and at the end of the day, I know what I pay – no bill at the end of the year,’" said Quinn. Given Donald Trump’s well-established ability to create a buzz about any project he undertakes, it’s impossible to know what is fact and what is hyperbole. But I can tell you that the five-year member of Trump National – Philadelphia that we got paired with on the first tee approves of the changes under Trump. Plus I bumped into another guy I know who has joined since Trump took over. He also had nothing but good things to say. You won’t hear it from my business partner, Craig Ammerman, but he is busting with pride because his little sister, Dr. Karen Ammerman, was nominated today to join the Executive Committee of the U.S. Golf Association. Craig is proud for a couple of reasons: First, as a former member of the Executive Committee (2002-2007) himself, he knows the kind of hard work and accomplishment it took to receive the nomination. Second, Craig is proud because he and Karen will become the first siblings in history to serve on the USGA’s top panel. 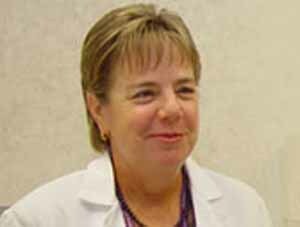 There are four newly nominated candidates for the Executive Committee for 2012: Karen S. Ammerman, M.D., of Webster, Mass. ; William E. Fallon, of Pittsburgh, Pa.; Mark P. Reinemann, of Pewaukee, Wis.; and Gary R. Stevenson, of Lafayette, Calif.
Ammerman, 56, is a board-certified staff physician at Reliant Medical Group in Worcester, Mass., where she specializes in obstetrics and gynecology. She holds a medical degree from the University of Rochester School of Medicine and Dentistry, and conducted her residency at West Virginia University Hospital. Ammerman has served on a variety of hospital and corporate boards, including Fallon Clinic, Central Massachusetts Insurance Company and Massachusetts Assurance Company. Since 2010, Ammerman has served on the USGA Senior Women’s Amateur Committee. She has also been a member of the Women’s Golf Association of Massachusetts since 1993, serving on the organization’s Rules Committee since 2000. For the past 25 years, Ammerman has been a member at Pleasant Valley Country Club in Sutton, Mass., where she has been women’s club champion five times. The USGA also announced that Dan Burton, former president of the Golf Association of Philadelphia, was nominated as a vice president of the Executive Committee. A tip of the visor to Craig, Karen and Dan. We are entering my favorite month of golf all year long. For as long as I can remember, these few weeks, after the summer heat and humidity have finally subsided, but before the winter darkness and doldrums have set in, offer the most ideal golfing weather and optimum course conditions. There is, I don’t know, a certain peacefulness about fall golf. I like the slightly late cool afternoons, when a sweater or light fleece pullover are plenty against the chill. The summer days of baking in the sun, or sweating underneath, are over. It’s just right, perfect. 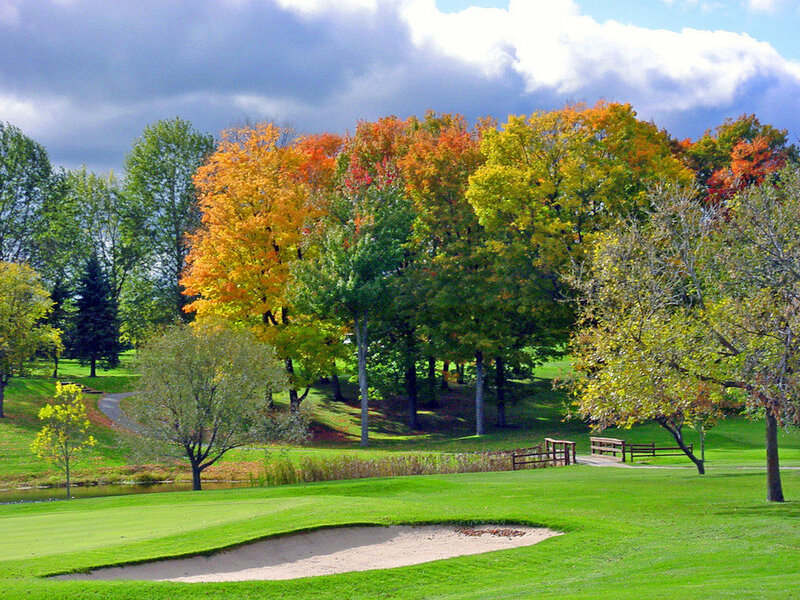 And when the leaves start to turn, causing the golf course to explode with color, it couldn’t get any better. It’s also a time of the year when the courses tend to be in near-perfect condition. After a season of nurturing, rain and growth, fairways are thick and full and the greens are lush, fast and true. Then there is the condition of my golf game. I play some of my best golf in the fall. By then, I’ve usually worked out whatever swing flaw tormented me for most of the spring and summer. I’m just grateful to be out on the golf course, in the fresh air, doing the thing I most like to do. Not surprisingly, my favorite time of the day to play golf has always been the late afternoon, as sunset looms. There’s a calmness about the golf course. Courses are rarely packed then. Most people are already at home, gathering for dinner, or having family times, especially if it’s summer when it doesn’t get dark until 8:30 or later. In the hour before sunset, what you find on the golf course are the hearty few – the guy sneaking in nine holes after work, a foursome of kids, a father and son (and daughter) enjoying peaceful time together. Fall golf is the best. Tim - As you know, every fall I toy with the idea of turning pro...until I come to my senses. I agree with you except the part about when you play your best golf. Joe, I agree but this year September and October so far have not been as good as most prior years;however, I did pick some beautiful fall days to play at Philly CC, Weyhill at Saucon Valley and Paramount CC in Rockland County, NY. Joe, I couldn’t agree with you more! Joe, hope you’re having a great time. Have a pint for me! 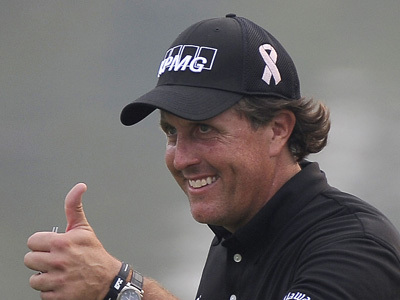 Should Phil Mickelson make it into the World Golf Hall of Fame? I don’t mean ever? Of course, he should. I mean now, while he’s still got several good years left in his career. That’s the question put to me and everyone else who votes each year on who gets elected to the WGHOF. I take my vote very seriously, and I’ll tell you how I voted, but first a little background on the process. What does it take to get elected? - Any candidate who receives votes in less than 5 percent of the returned ballots for two consecutive years is dropped from the ballot. Otherwise, a candidate remains on the ballot indefinitely. After 10 years on the ballot, candidates are considered for the Veterans Category. - Senior executives of golf organizations ( PGA Tour, U.S. Golf Association and PGA of America), various industry executives and advisors, previous inductees to the WGHOF, select TV industry representatives involved in golf coverage, select writers picked in concert by the WGHOF and the Golf Writers Association of America. - Voters can choose up to 30 percent of the candidates on the ballot, which in 2012 means 4 candidates. You can vote for fewer, or even none, if you think no one on the ballot deserves to make it to the WGHOF. There are 14 candidates this year, three of them on the ballot for the first time. They are: Mickelson, Jim Furyk and Loren Roberts. Kenny Perry and Jay Haas were both dropped from this year’s ballot after receiving 2%. This year I voted for one candidate: Mickelson. I’ve talked to colleagues who vote who wouldn’t think of voting for a candidate who is still an active player. They argue that almost by definition, selection to the hall of fame in a given sport should come only after a player’s career has ended. Indeed, in baseball, players are not eligible until they’ve been retired for five years. Obviously, not so in golf. My thinking is that Mickelson has already posted the necessary numbers – 39 PGA Tour wins, including three Masters, a PGA Championship and a Players Championship, and been a member of virtually every Ryder Cup and Presidents Cup team since he turned pro – to earn him first-ballot election into the WGHOF. Why suggest otherwise just to make a point. Furyk: One major (U.S. Open), 16 PGA Tour wins and multiple Ryder Cup and Presidents Cup teams make him a stronger candidate for the future, but he is not there yet. Another major title, or a Players Championship, along with hitting the 20-win mark for his career would probably put Furyk in the WGHOF. Couples: One major (Masters) and a Players Championship, 15 PGA Tour wins, six Champions Tour wins. As popular as he is, Couples has long been saddled with the reputation of being an underachiever. Blame his bad back, if you want. If he can win a couple of majors on the Champions Tour, Couples will eventually enter the WGHOF. Love: One major (PGA) and two Players Championships, 20 PGA Tour wins. Another very popular, highly-regarded player who didn’t quite win as many majors as people expected. Now past his prime, Love must make his case with his Ryder Cup record and maybe a couple of Champions Tour majors, when that time comes. Acer - Check out the story I just posted under Latest Headlines. I wasn’t a voter when the original qualifications were drawn up. I’ve heard occasional grumbling from a voter here and there about the early-age threshold but not any real effort to raise it. Joe, Is there a movement among the eligible voters to change the eligibility requirements to a higher age? MLB,NFL,NHL&NBA all do not allow active players to be in their HOF. Why does golf? So far as I can tell, there is no provision for abstaining. If you try to abstain by not returning the ballot, you will be dropped as a voter. If you return the ballot without checking his name, it is recorded that you didn’t vote for him. I would abstain until such time as the WGHOF changes the eligibility age to 50. It’s ridiculous to have active players in the HOF.